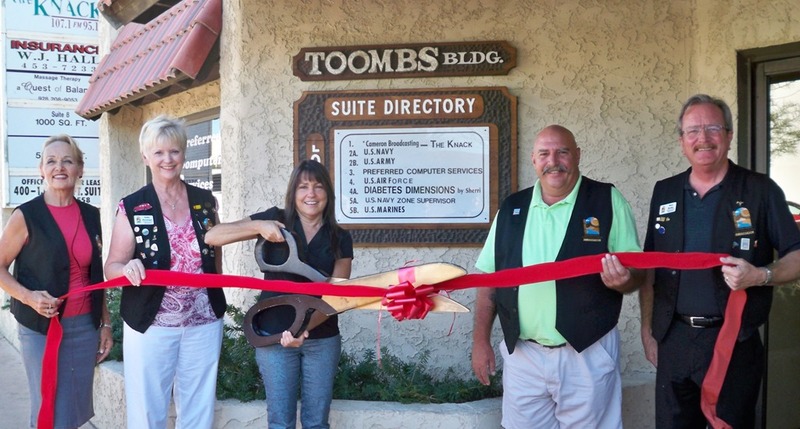 The Lake Havasu Area Chamber Ambassadors held a ribbon cutting ceremony for Diabetes Dimensions celebrating its new membership with the Chamber. 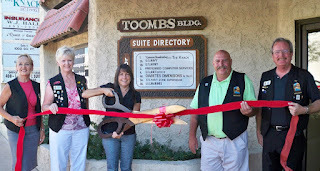 Attending the ribbon cutting from left to right were Pam Swanson, Kathy Ronningen, Sherri Caddy, Lucky Atkinson, and Steve Bentley. Sherri Caddy has been practicing in Lake Havasu since 2002 as a Dietitian, and Diabetes Educator specializing in insulin pump training and management. Her nutrition counseling focuses on diabetes but also includes weight loss and kidney disease. Office hours vary, for more information or to schedule and appointment call 928-453-9156.